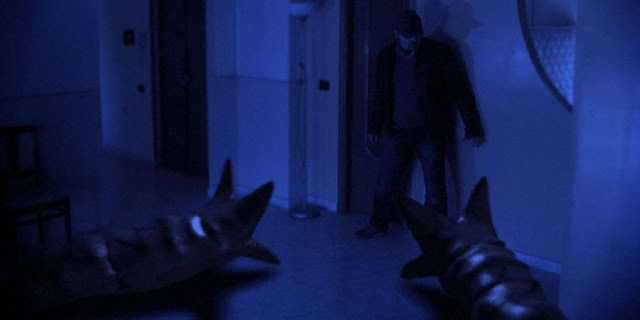 Around mid May time I saw Italian director Andrea Ricca's short horror film The Spirit Board. I felt the CGI was pretty average but once I found out that Ricca was responsible for most elements of the short, from the directing down to the computer effects I was more impressed. Since then I have received an email saying I should check out the rest of the directors short films (that are all free to watch on YouTube. I thought rather than give each film a review of its own I would instead do a roundup post dedicating a little bit to each of the films I have seen. These films all follow a very similar format that seems to be a character discovering an evil and then being forced to defeat it, usually in silence so that the shorts are universal. First up is The Guardian (2008) which has an archaeologist discovering an ancient urn at some ruins, this has the unexpected effect of summoning a skeletal warrior who will stop at nothing to get it back. This clocks in at four minutes and takes place outside. The skeleton doesn't look amazing, certainly sticks out like a sore thumb but this displays the playful attitude that Ricca seems to like, one point for instance the skeleton is using its shield as a kind of surfboard as it chases a man in a car. This isn't terrible. The Furfangs (2010) is a five minute short about a man who discovers four furry little sharp toothed aliens have invaded his home. This feels like a homage to Critters and Gremlins with most the film being the guy battling them in a manner of comedic ways. The music and 3D effects for this one were done by Gennaro Acanfora and while the effects again don't look anything more than average are neat with how they interact with the real locations. This one was a pretty fun one, an early highlight. Spider Danger (2012) has the same primary actor as The Furfangs, by this point the format was starting to show itself a little bit too clearly. A guy has to deal with a giant spider infestation in his home. I will say I thought the ending was pretty funny for this one even if at times this felt a little bit 'business as usual'. UFO Race (2012) is much more a sci-fi, this is two and a half minutes and has a UFO challenging a man to a race. This has again the same actor, due to the non speaking role and the fact he looks the same I started to wonder if this was the same character who keeps getting caught up in crazy events. This was light hearted inoffensive stuff. The CGI really reminded me of mid 90's Playstation cutscenes, I will add I did like how the real man was imposed on the CGI background. The Spooky Ghost (2014) was the longest one so far being exactly 7 minutes long, it was also the best one up to this point in terms of special effects. 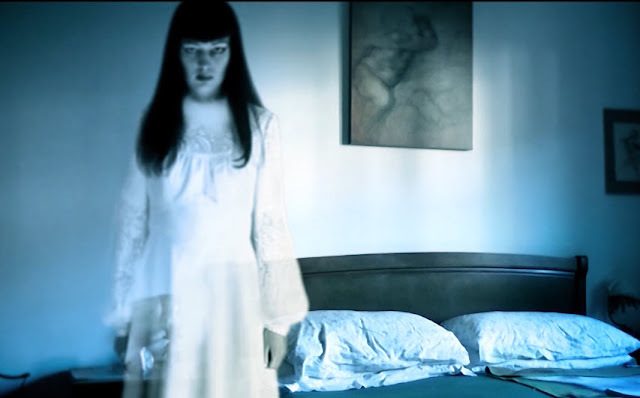 A woman explores a house that is populated by a ghost. In particular there was one scene where the girls reflection was moving differently to her, and another part where her shadow turned and grinned at her. Most of Ricca's films really are family friendly though, the ghost in question here is very cartoon like but this was quite entertaining. 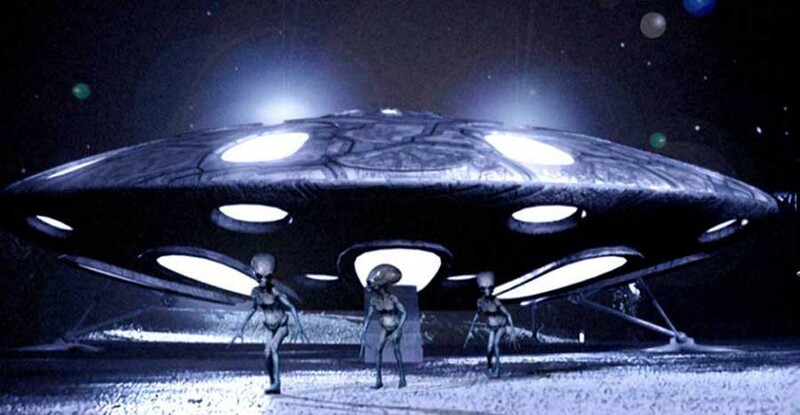 Aliens Night (2014) is another Sci-Fi one, this time about alien abduction. It describes itself as 'a really freaky alien abduction Sci-Fi' but it really isn't, business as usual with a victim this time fighting aliens. I wasn't too impressed for just for how samey it felt to many others, however I did think the ending was good, and the music was effective throughout. Space Monster (2015) is a three and a bit minute Sci-Fi horror that fittingly enough features a space monster. These titles sure are matter of fact it has to be said. This stars Ilaria Lamberti who was good as a silent actress. While again this shares many similarities to others I enjoyed this, it moves along at a fair old pace and the monster while basic had a good look to it. Nightmare Escape (2015) was great in that it does something a lot different. This short is actually interactive with you getting asked choices at set points (such as to take a left or right door). One result leads to a game over screen, another one advances the story. This is entirely done in CGI and the text at the start says you are playing as the director Andrea Ricca himself. This was pretty great to be honest. The Giant Scorpion (2016) has a lot in common with Spider Danger in that a meteorite from space makes a normal insect grow huge. This again stars Ilaria Lamberti who is as great as ever. It felt really similar to the last large insect short but I preferred this one. Alien Worms (2016) is a four minute movie that has some sort of government agent battling giant space worms which reminded me a lot of the creatures from Tremors. I liked the different gadgets the guy got to use, and in general I liked how this played out, the helicopter rescue being a great way to end this. Aliens Night Return (2016) is one I didn't expect to like after not thinking much of Aliens Night, however I was pleasantly surprised. 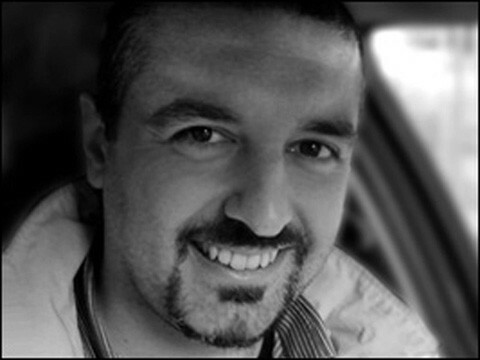 This is a goofy tale about a man encountering aliens, the guy (that I now suspect to be none other than Andrea Ricca himself, and who also starred in several others of the short films) is likeable and the story silly enough to be quite enjoyable, made all the better by his facial expressions that add charm to his role. The Amulet of Fear (2017) follows a very familiar format but this time around the big bad is a zombie demon that pursues a young woman. One thing Ricca usually does well is the ending to his films and here is no exception. Also while the CGI is still average the actual monster design was great, it was less cartoon like than previous times, it seemed like something that with a bit of work could have fitted in an Ash vs Evil Dead episode. The Furfangs 2 (2018) again seems to star Ricca, this one is very similar to The Furfangs, even ending on the same sort of shot. Didn't enjoy this as much as the first one due to the strong sense of deja-vu. Finally there is The Ouija Board Secret (2018) that is just under two minutes long. I gotta say I loved this one, it took the big twist from the video game Silent Hill 2 and ran with it making a film that was the most horror like of all Ricca's films. The detail on the CGI was a big improvement and the light comedy element was removed making for a direction that I can get behind. So there you have it, most of the charming shorts that have been made by this talented man over the years. They are all free to watch on YouTube so if you have some spare time there is no harm in checking them out on his channel (here).